Special Thanks to Michael Guerrero for sending this photograph to Retiree News. His grandfather Howard Guerrero served in the Hawaii Air National Guard. These Hawaii Air National Guard Airmen, members of the Royal Guard were in Washington, D.C. for President Lyndon Johnson’s inauguration. The Royal Guard marked in the Presidential inauguration parade on January 20, 1965. The current Royal Guard were created in 1962, a unit is made up of Hawaii Air National Guardsmen, who are either full Hawaiian or part-Hawaiian ancestry. The Royal Guard is ceremonial unit only and serves the Governor, for official State functions and other public functions, and descendants of the Hawaiian royalty for ceremonial functions. 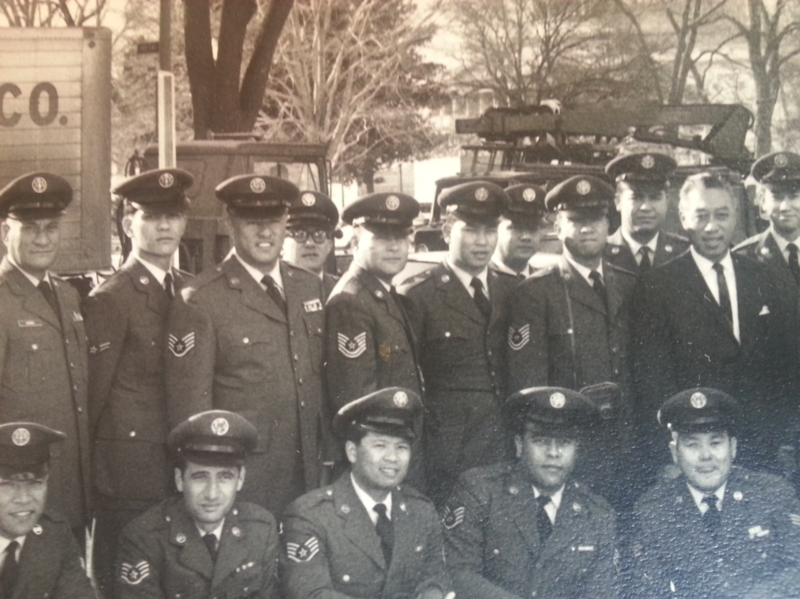 Thanks for Randall Lum and Billy Chang who helped identify the airmen in the photograph.